BONCL 21st CCLC Before and Afterschool Programs are open to students enrolled in the BONCL R-X School District. Children in grades K-8 can attend. BONCL hours are 6:45–8:15 a.m. and 3:15–4:45 p.m. each afternoon that the regular school day is in session. BONCL students are provided bus transportation home each day. The bus leaves BONCL School at 4:45. If a student does not ride the bus home then pickup time from the Y Afterschool Program is 4:45 p.m. For more information contact Cassie Huckstep-Spangler, Site Coordinator, at 573-754-5412 or Chuck Tophinke, Program Director, at 573-754-4999. Bowling Green 21st CCLC Afterschool Program is open to students enrolled in Bowling Green Elementary and Bowling Green Middle School. Children in grades K-6 can attend. Bowling Green hours are 3:10–6:10 each afternoon that the regular school day is in session. Students must be picked up no later than 6:10 p.m. Extended Day Summer School is offered if the district holds summer school, details to be determined each Spring. For more information contact Debra Jennings, Site Coordinator, at 573-324-9991 or Chuck Tophinke, Program Director, at 573-754-4999. Clopton 21st CCLC Before and Afterschool Programs are open to students enrolled in the Pike County R-3 School District. Children in grades K-6 can attend. Clopton hours are 6:15–7:30 a.m. and 3:39–5:24 p.m. each day that the regular school day is in session. Bus transportation is provided home each afternoon. The bus leaves the school at 5:09. Students not riding the bus home must be picked up by 5:24 p.m. A 3-4 week summer session is offered, details to be determined each Spring. For more information contact Kathy Gregory, Site Coordinator, at 573-242-3546 ext 416 or Noveta Shepherd, Program Director, at the 21st CCLC office at 573-754-4999. Frankford 21st CCLC Afterschool Program is open to students enrolled in Frankford Elementary and Bowling Green Middle School (must be a resident of Frankford). Children in grades K-6 can attend. Frankford hours are 3:10–6:10 each afternoon that the regular school day is in session. Students must be picked up no later than 6:10 p.m. Extended Day Summer School is offered if the district holds summer school, details to be determined each Spring. For more information contact Sherry Cox, Site Coordinator, at 573-324-9991 or Chuck Tophinke, Program Director, at 573-754-4999. Louisiana 21st CCLC Before and Afterschool Programs are open to students enrolled in the Louisiana Pike County R-2 School District. Children in grades K-6 can attend. Louisiana hours are 6:30–7:30 a.m. and 3:00–5:30 p.m. each day that the regular school day is in session. Bus transportation is provided home each afternoon. The bus leaves the school at 4:30 p.m. Students not riding the bus home must be picked up by 5:30 p.m. Extended Day Summer School is offered if the district holds summer school, details to be determined each Spring. For more information contact Chrissy Hoskins, Site Coordinator or Noveta Shepherd, Program Director, at the 21st CCLC office at 573-754-4999. Y Day Camp 21st CCLC is open to any students in grade K-6. Y Day camp is housed at the Louisiana Elementary School. 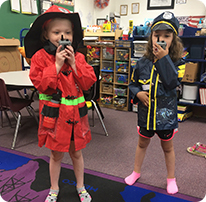 Y Day Camp hours are 7:30 a.m.–5:00 p.m. daily from late June to early August. Dates are determined each April depending on the Louisiana Summer School schedule. For more information contact Chrissy Hoskins, Site Coordinator or Noveta Shepherd, Program Director, at the 21st CCLC office at 573-754-4999. BONCL: Pilot Summer Session 2019 is being planned for June 3 - June 28. Bowling Green and Frankford: Extended Day Summer School 2019 will be June 4 - June 28. Clopton: Summer Session 2019 will be May 24, May 28-May 31, June 3-21. Louisiana: Extended Day Summer School 2019 will be May 28-June 21. 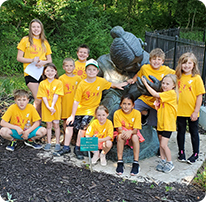 Y Day Camp: Day Camp 2019 will be June 24 - August 2. 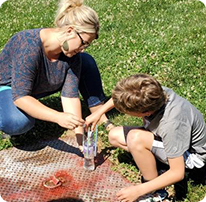 Summer Sessions are open to students entering grades K-6 (K-8 for BONCL) in the Fall of 2019. Students must be 5 years old to enroll. Enrollment is limited to license capacity. Summer Sessions are dependent on district decisions and 21st CCLC funding. To register for Summer Sessions, use the school year registration form under each Site link above. Download the form, fill it out and then bring it to your school's Site Coordinator. Summer Session flyers with more information will be sent to each site once final summer session dates and fees are determined. For more information contact the 21st CCLC office at 573-754-4999. Copyright © Twin Pike Family YMCA. All rights reserved.